We bought you the news of Range Rover bringing a convertible version of its crossover SUV, the Evoque. Joining Nissan Murano CorssCabriolet, in an entirely unique segment of crossover convertible is the Range Rover Evoque Convertible. 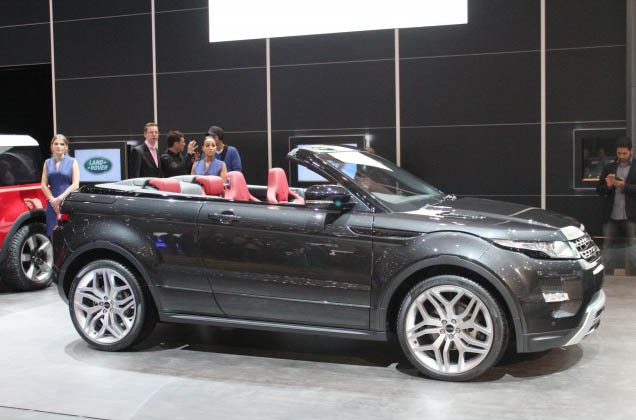 The Range Rover Evoque Convertible has sleek, sporty appearance, and looks pretty much like an Evoque without its roof. And that’s what it is. The Crossover Convertible just did away with its roof, and its structural rigidity is a big question mark. However, Land Rover announced that there is a lot of R&D required before this goes into the production.